Underneath each Low Band Array (LBA) antenna, there is a metal grid. This mesh is 3m × 3m and is made of reinforcing steel. 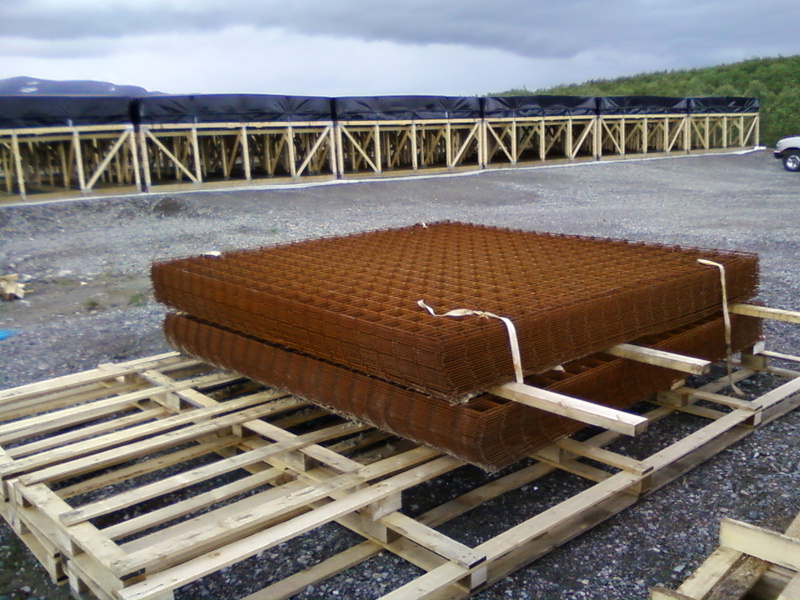 Along with the RF and auxiliary containers, we also received delivery of a load of 100 of these steel grids. Unloading them proved to be non-trivial. 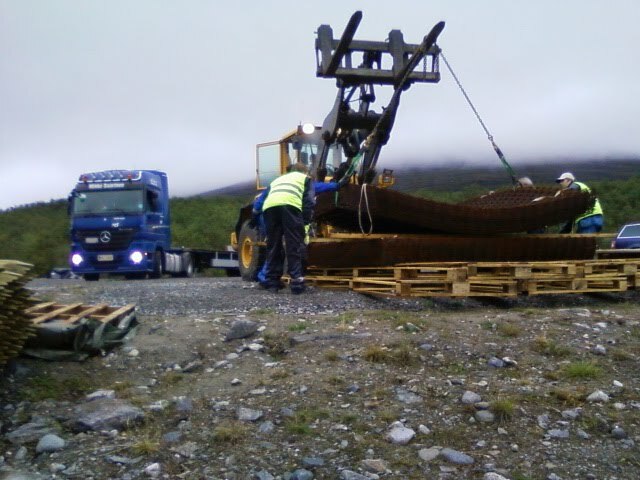 The grids were in two stacks of 50 pieces, each probably over a tonne. By itself, this is not so much of a problem. However they are abrasive, flexible, awkward to handle and... with jagged edges. 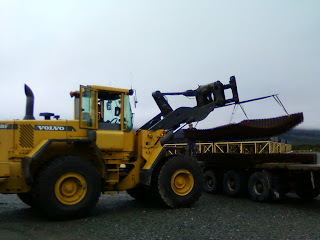 During the first lift one of our lifting straps broke, causing the load to crash to the ground. Damage was minimal, and no-one was hurt, but it gave us a bit of a scare. With new lifting rigs we made the attempt again. 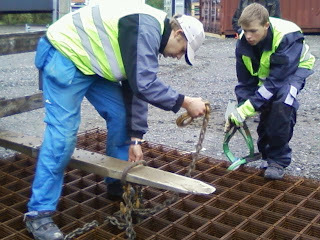 In the next photograph, Marko Kauranen and Santtu Rantakokko secure a set of lifting chains. The next attempts managed to get the grids into place. Finally... a stack of LBA grids. Ready for next year.